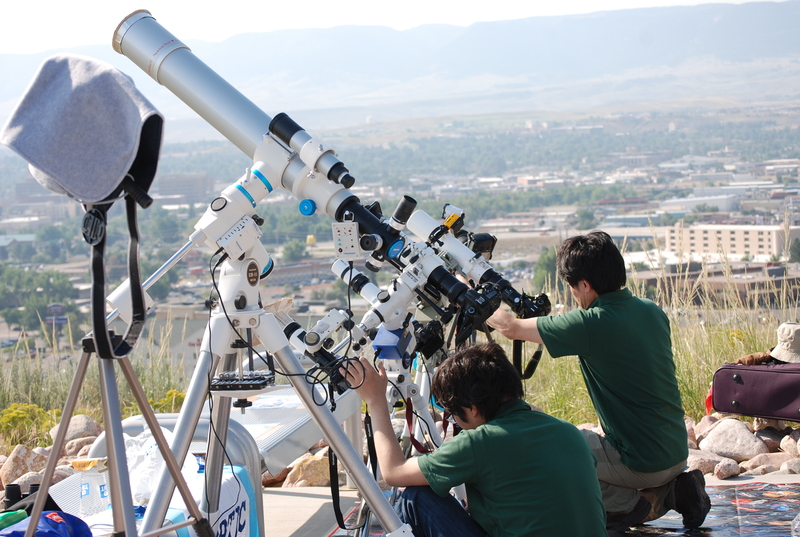 Telescopes and amateur astronomy are hobbies for many optical professionals. 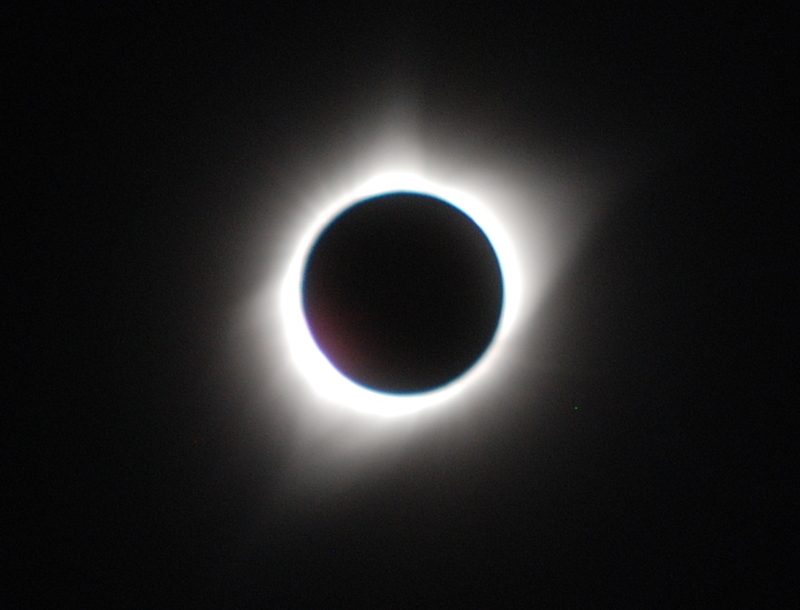 Observing a total eclipse is a peak experience for any astronomer, as it dramatically gives a fleeting glimpse of the solar corona and a sense of the precision motions of the solar system. My first and (to date) only eclipse was in July 1972 in New Brunswick, Canada, seen between thunder heads on a stormy afternoon. I swore that would not be my last. 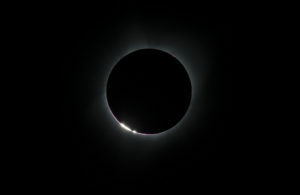 This year, after 45 years, was a chance to see another, and in clear skies of the American west. My expectations were not disappointed. This eclipse brought together friends and colleagues from around the world and showed me how much we have in common. 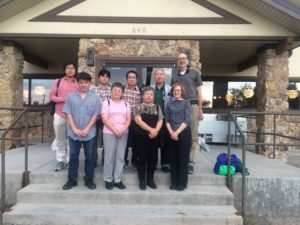 The build up was enhanced through meeting with colleagues at international, OSA and SPIE conferences and tradeshows from late spring and through the summer. While visiting Japan I met with Motosuke Kiyohara of Kiyohara Optics, Tokyo, Japan. 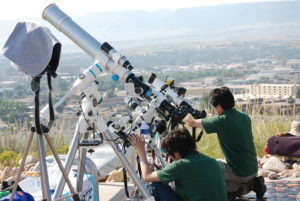 We immediately found common interest in astronomy (Kiyohara even has a small telescope store next to their home office!) and I learned of his intention to observe the eclipse in Casper WY, my target city too. We agreed to meet for dinner the night before the eclipse IF we could get a hotel. 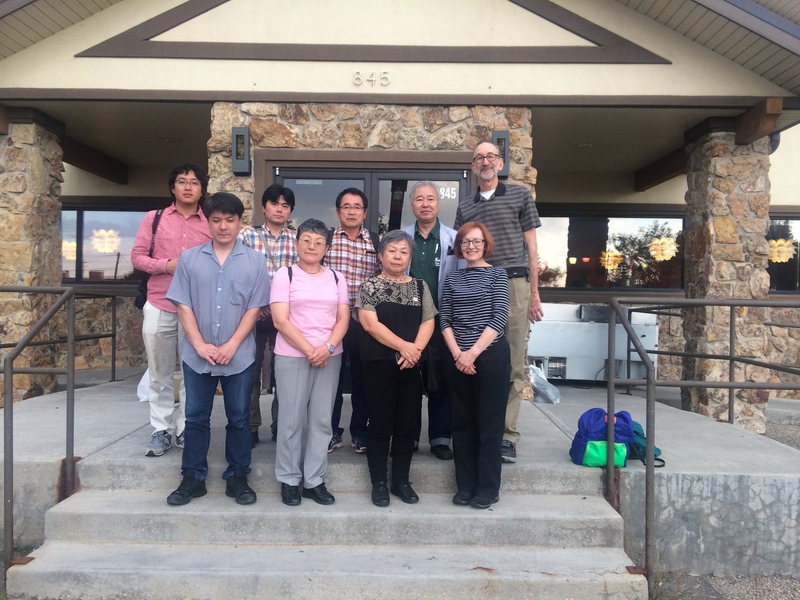 After much frustration we finally got a hotel room and were able to meet as planned and enjoyed a wonderful evening with our Kiyohara friends and family. At OF&T in July I met my friend Dave Stephenson (Jenoptik Jupiter FL). 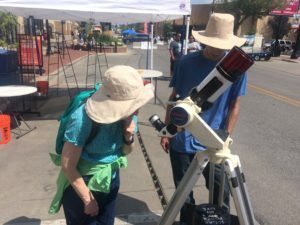 We discussed the eclipse and our intentions to travel to Wyoming. The problem was hotels. On Dave’s recommendation we booked a hotel closer to centerline. Upon checking in at the Ramada Cheyenne we ran into Dave and his wife adding a very pleasant surprise! 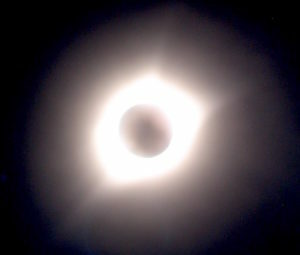 Plus the hotel was a buzz of eclipse chasers with Sky and Telescope magazine hosting seminars in the hotel. At SPIE Optics and Photonics Senior Member breakfast the eclipse was the center of discussion. Three table members from Ball Aerospace, Boulder CO were heading up to Wyoming to observe the eclipse. The big question was how to deal with the traffic, but the excitement was building. During the exhibits I ran into John Hayes. John and I were competitors for years as we worked to serve the same customers with our interferometers, he at Wyko and me at Zygo®. It was a pleasure to learn of his dedication to amateur astronomy and his intentions to view the eclipse in Oregon, his home state. We learned that we grew up within 10 Km of each other in the Detroit MI area, are were part of the same astronomy club, observed at the same sites and never knew each other! Viewing solar prominences indicated the west side of the corona would be more active due to a sun spot coming into view on the eastern solar horizon and it was. With near perfect skies Casper WY turned out to be a fortunate choice. The views of the corona and solar prominences were subtle and awe inspiring even through simple binoculars or simply the naked eye. This eclipse let me see how like minded the global optics community is, even previous competitors! Something to keep in mind and appreciate as we enjoy the pursuit of our careers.